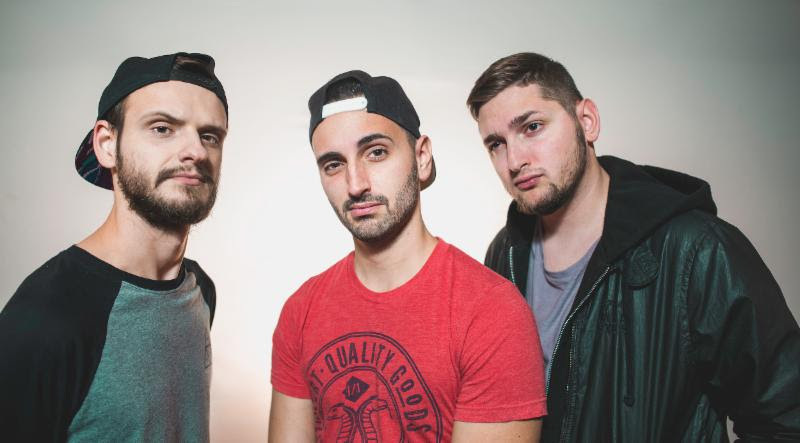 One Up, Detroit’s newest pop punk band, is thrilled to share their debut single and music video, “Laid and Paid,” premiering exclusively on New Noise Magazine. The video was directed by Branden Lee Keller and is a humorous parody of typical country music motifs: cowboy boots, pick-up trucks, and tire swings. The song was mixed and mastered by Romesh Dodangoda (Bring Me The Horizon, Motorhead, Funeral For a Friend). For more information, please visit: www.facebook.com/OneUpDET. Fronted by brothers Nick and Alan Reitman on vocals, guitar, and bass with TJ Mulawka on drums, One Up pulls from musical influences like blink182 and Neck Deep to create their upbeat, playful sound. The band’s humorous lyrics calling out ‘millennial culture’ are playing a part in bringing fun, pop-punk music back to the Metro-Detroit area. Following their release of their first single “Laid and Paid,” One Up plans on releasing their first full-length album later this year.